My Everyday Short Hair Routine. It’s been just over a month now that I decided to take the plunge and cut eight inches off of my hair…. yep, eight. I know right, I don’t think I even realised just how long my hair was before. 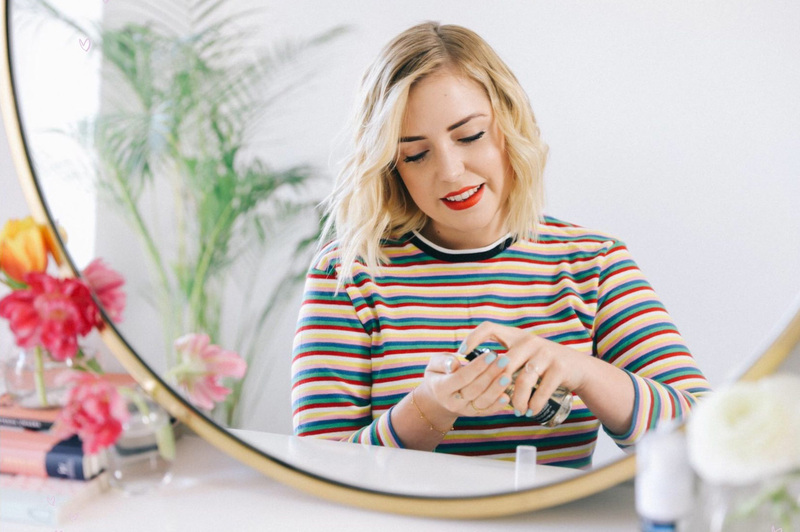 Now it’s short I love it more than ever, have a whole new hair routine and of course, some new fave hair care products that I can’t wait to share with you lovely bunch! 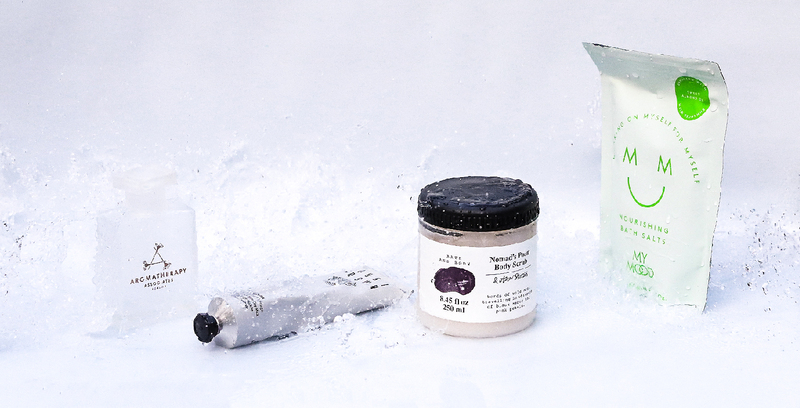 So, I thought I’d show ya my “day to day” routine… a kind of “hair wash day step by step”. 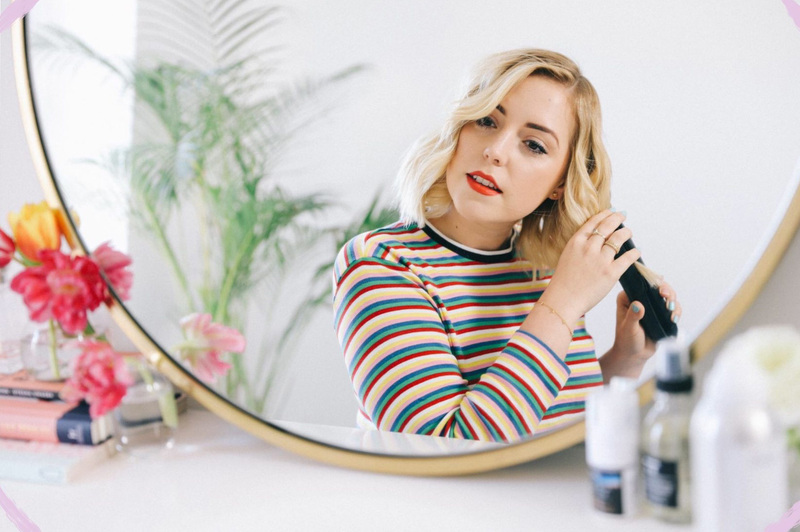 This is one of those rare moments that I actually really wish that I could film myself to show you all a little better… I mean, explaining how to curl hair through a blog post is a lil tricky BUT, I’m gonna try my best. Step one: Just out of the shower I usually take my just washed, just brushed hair and start things off by applying a couple of squeezes of “Oi Oil” into the ends and throughout. I’ve loved this stuff for years, and I mean years. 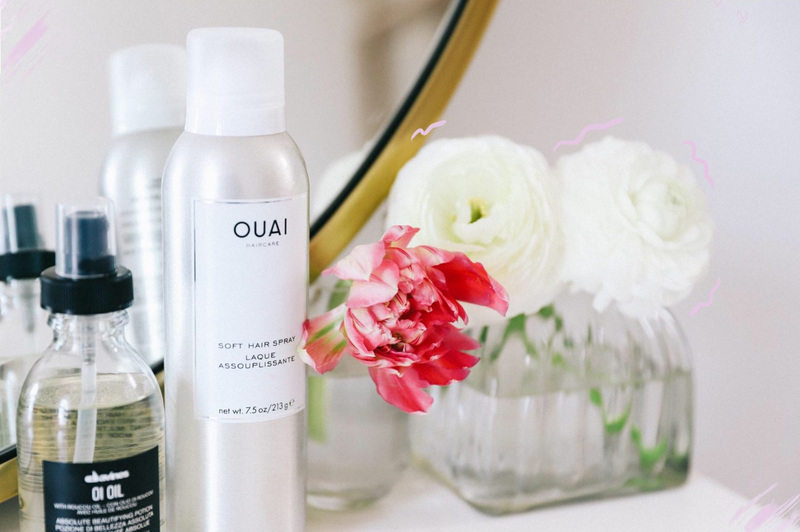 The oil makes my hair super smooth, says goodbye to frizz and lasts forever. I think this may be my third bottle so it’s safe to say I’d deffo recommend! Step two: After I’m all oiled up (lollll) It’s time to step it up a notch and get that hair dry. This is the part where I have no rhyme or reason but to just go for it. 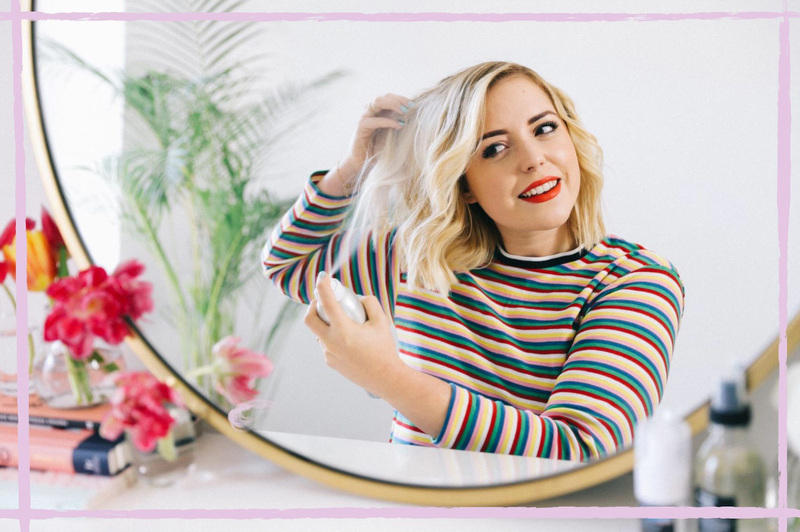 I literally just blast my hair with the thing, I don’t even separate it, I find that this way it gives me wayyy more volume which is always a bonus! Step three: Hair dried and straighteners on, let’s get curling. Now, this is where I start to separate the hair, usually into three sections… This again gives me a little more volume and allows me to get to the hard to reach super short back pieces. Step four: Once all sections are curled I need to shake things up a bit. This is where IGK’s “Volume Powder Spray” comes into play. This stuff is incredible. I love hair wash day, but sometimes my hair can feel an uber-flat and a bit “too soft” if that’s a thing?! Well, a couple of sprays of this into the middle section of your hair and voila, hello volume! It gives it an almost instant, “second hair day” feel. Step five: Now I’ll usually brush everything out a little. I don’t like having any “perfect curls” and prefer a messier, more natural look. 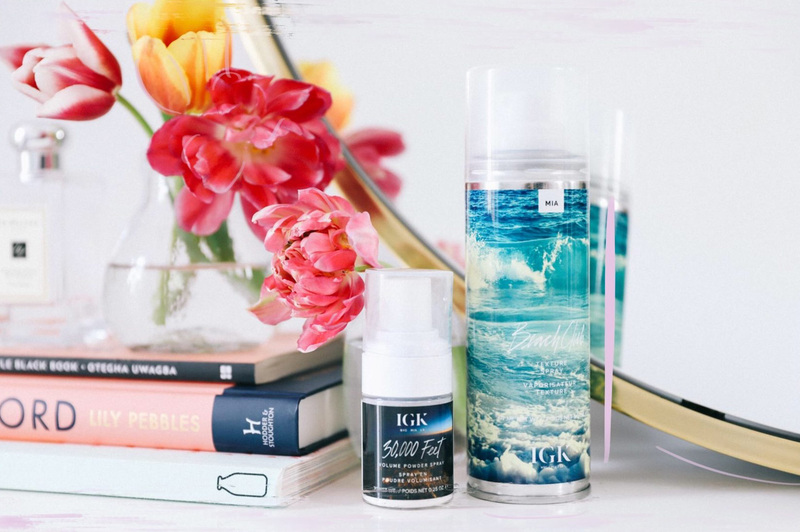 I’ll usually brush through the hair with my fingers, separating all of the curls out and then to top things off I’ll use a little “Texture Spray“, this one another IGK fave, and does the job fabulously. Step six: The finishing touches. 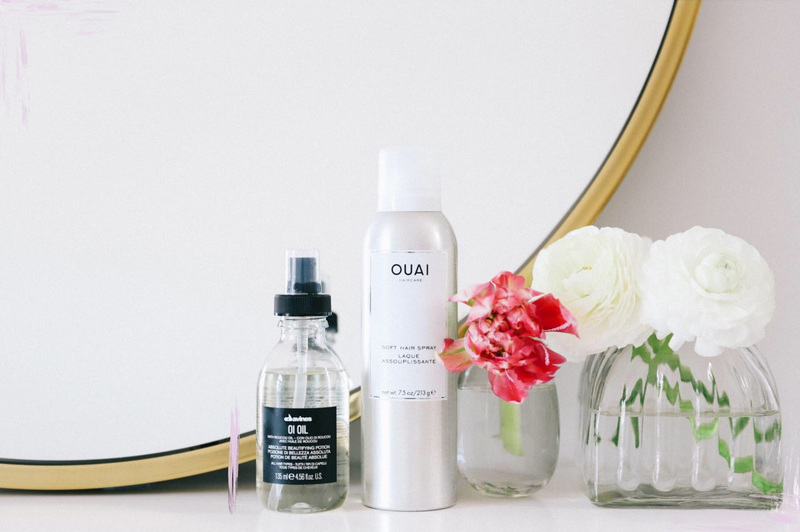 A little more oil and a little hairspray to keep everything “in place” – I LOVE the “Quai soft hairspray” it’s light and doesn’t leave your hair feeling sticky! Andddd that’s it (!!) we’re done. Woo! I’m totally aware that now I’ve written it down this sounds like ALOT. But honestly, I’d say on average my hair now takes me around 10 minutes to curl, if that. I find short hair SO much more manageable and the best part of all is that it somehow stays put throughout the day. YAS. 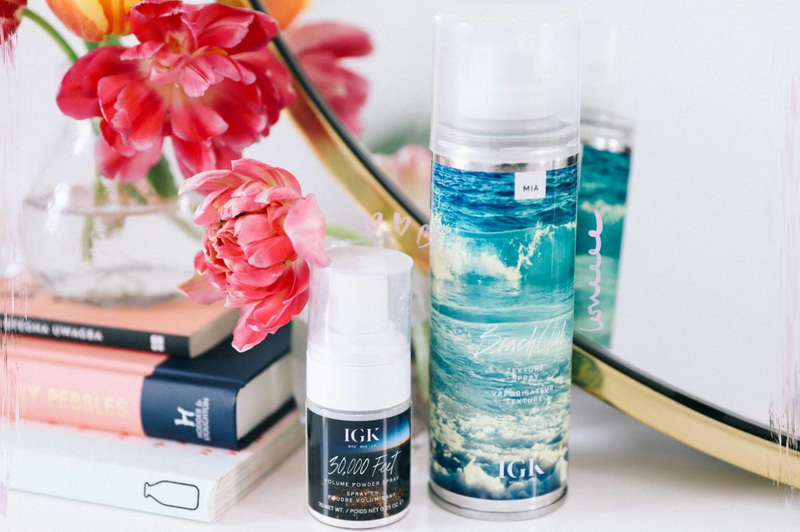 I hope this post ~kinda~ made some sense, explaining these things are a bit tricky but if you’ve got any questions about the products or the steps then just ask!